Not every team has played the required 32 games, but the Sweet 16 has been set. The National League had a surprising amount of upsets, and I can hear the analysts now, "Look at all the parity!" Most surprising of all was the Nationals beating the #1 LA Dodger seed. I did not see that coming, but that proves the mantra of "pitching and defense" win games. Other upsets were the Padres over the Marlins, Reds over the Braves and Mets over the Rockies. 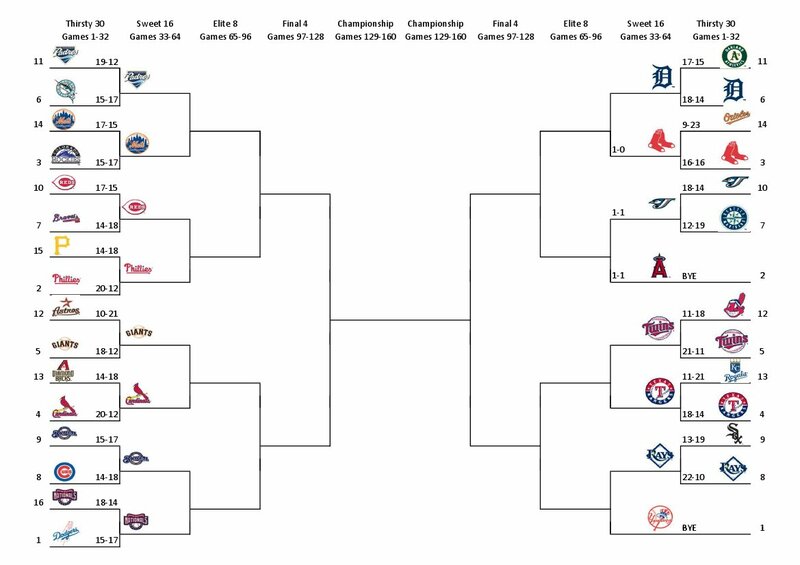 The AL pretty much went to form, and the "southern bracket" has a monster foursome of Texas, Minnesota, Tampa and New York. 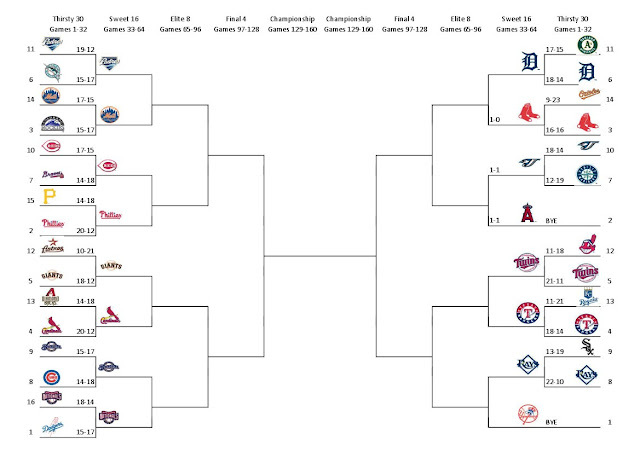 I think the AL representative will be coming from this bracket. Rod of Padrograph fame has been assigned the home town favorite Padres, after a surprise package of Gwynn-awesomeness this past weekend. That's strange. I thought a team with a 2 1/2-man rotation would be just fine.